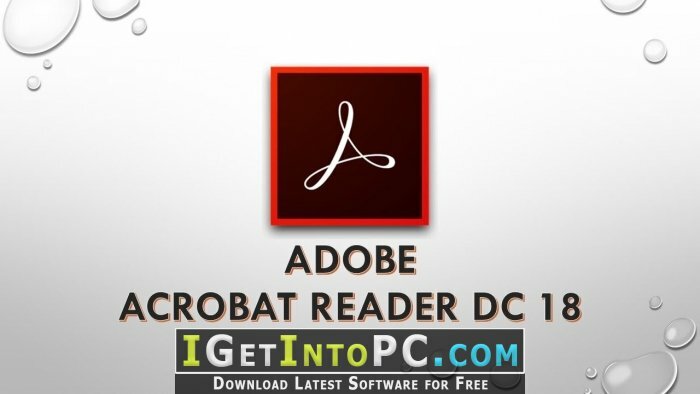 Adobe Acrobat Reader DC 2018.11.20063 Free Download includes all the necessary files to run perfectly on your system, uploaded program contains all latest and updated files, it is full offline or standalone version of Adobe Acrobat Reader DC 2018.11.20063 Free Download for compatible versions of windows, download link at the end of the post. Adobe Acrobat Pro comes in two standard and professional versions, which is a more complete professional version; there is also a Reader version, which, as its name implies, is purely for reading PDFs. You can also download Adobe Acrobat Writer. The development of the PDF format (“Portable Document Format”, meaning the portable document format) began in 1990. This format is used to provide documents including text, image and other necessary documents in a format that is identical to the printed document. The first time Adobe introduced Acrobat’s proprietary software in 1993, Adobe showed its official support for this extension and took on an important role in its development. You also may like to download Nitro Pro Enterprise 12.4.0.259. 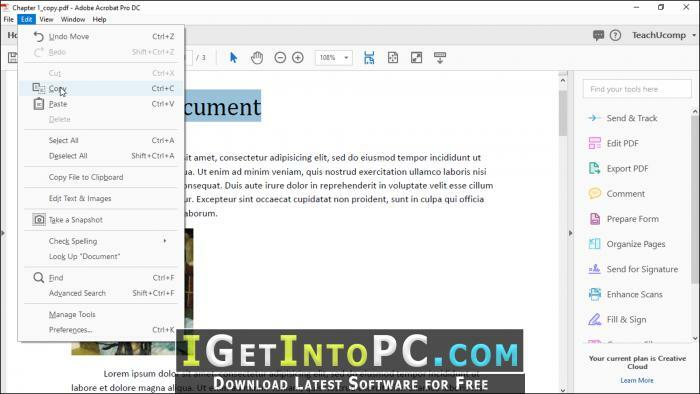 Below are some amazing features you can experience after installation of Adobe Acrobat Reader DC 2018.11.20063 Free Download please keep in mind features may vary and totally depends if your system support them. Note: For 64-bit versions of Windows Server 2003 R2 and Windows XP SP2, Microsoft Update KB930627 is required. 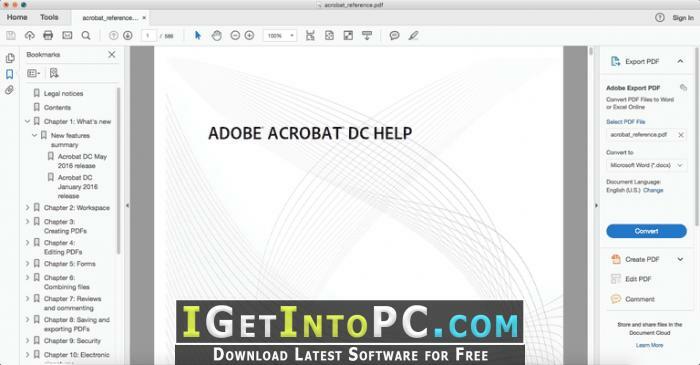 Click on below button to start Adobe Acrobat Reader DC 2018.11.20063 Free Download. 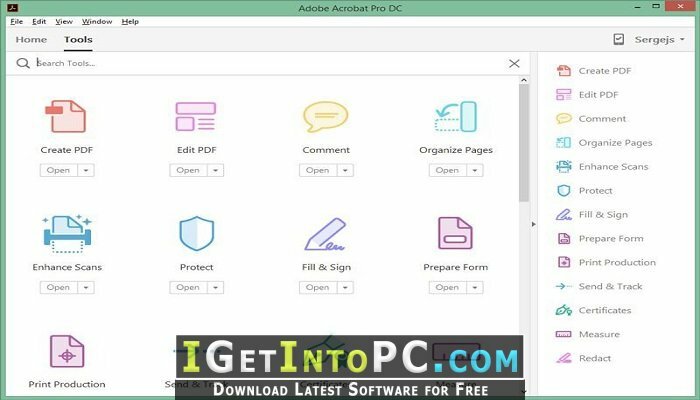 This is complete offline installer and standalone setup for Adobe Acrobat Reader DC 2018.11.20063. This would be working perfectly fine with compatible version of windows.